Pulp Adventurecon is a one-day show, held annually in two locations: Fort Lauderdale (February) and Bordentown, New Jersey (November). 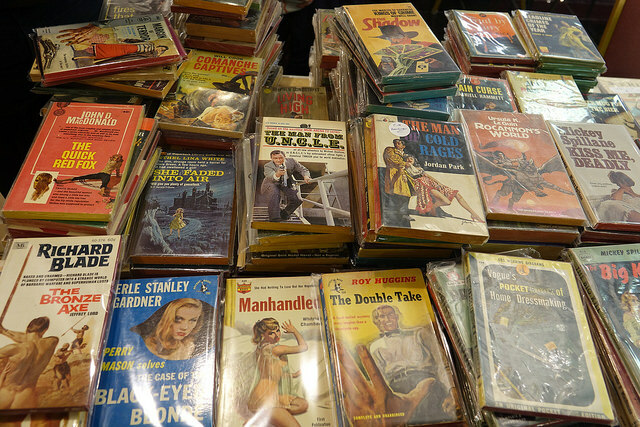 The show hosts collectors and vendors of rare pulp magazines, vintage paperbacks, golden age comic books, movie memorabilia, and related paper collectibles. The show emphasizes material that originated between 1900 and 1959, the years that encompass a significant portion of the "pulp era." Among many pulp collectors, the 1920s through the 1940s are often cited as the medium's heyday. However, you will find collectibles created before and after that time period.